Last week, my lovely boyfriend came home from work clutching a tiny little parcel. Upon my inquiring on the contents he handed it over and said ‘it’s for you’. Excitedly, and a little suspiciously, I opened the little white box to reveal a teeny lens for my camera. Closer inspection told me it was none other than a Holga lens purpose built for a Nikon DSLR. How fun! We already own several Holga cameras but I’m sure fellow owners will probably share my distaste for the super expensive film and the uncertainty of the image quality. So many times have I become owner to a little blue wallet full of black prints. My amazing little lens takes all of that worry away, allowing you to view your images straight away. I just love the gloomy atmosphere it gives to the image. Just perfect for a winters stroll down the banks of the industrial River Tyne. Amazing … I love subjects and the effect is incredible! Ahh I love these! 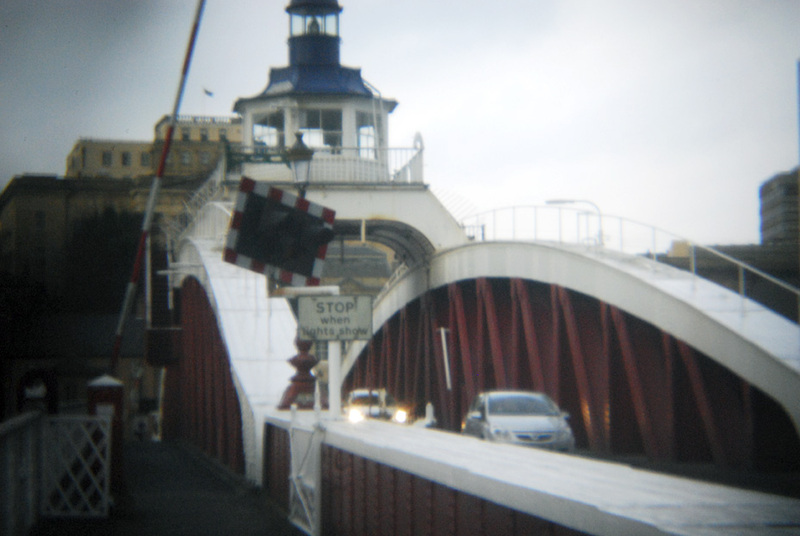 I really want a Holga lens now! Amazing! I'm starting to get into lomography after getting a diana mini last year. This sounds right up my street, might need to get one! Ohhhh I'd love to play with a Holga. I like the effects you've gotten.